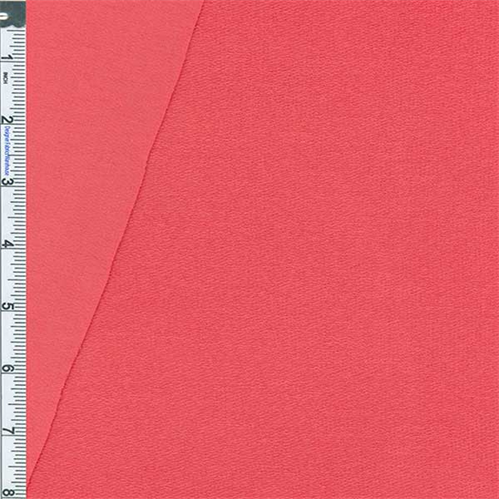 Rayon Baby French Terry Jersey Knit Fabric By the Yard, Hot Coral. Ultra light-weight french terry style jersey, semi-sheer, silky soft with a fluid drape. Very stretchy widthwise without added spandex, minimal lengthwise stretch. Suitable for light fashion jersey style tops, best for loose fitting drapey styles, use a lining or underlay garment if full opacity is desired.